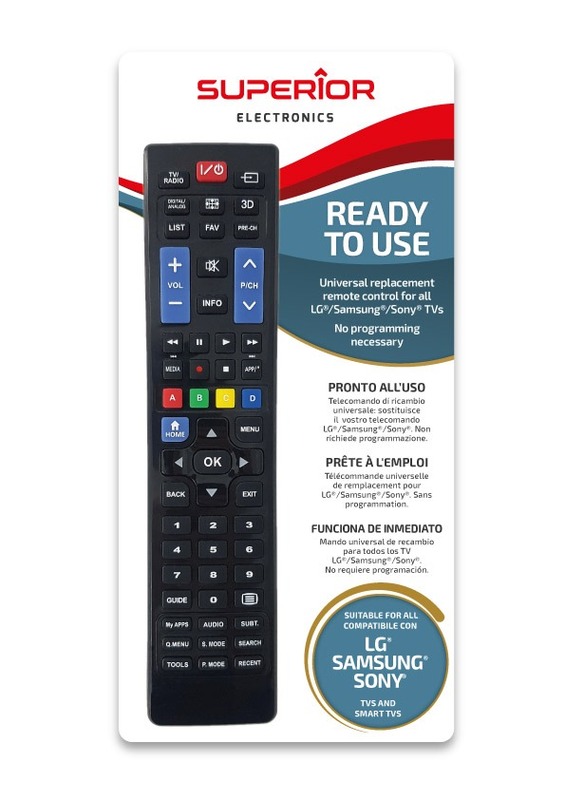 TYPE: Universal remote control ready to use. SETUP: Ready to use, just insert batteries. BLISTER CONTENT: Remote control, instructions manual, 2 years warranty. © Copyright - Superior Srl - Sede Legale Largo Lanciani, 24 - 00162 – Roma - Ph. : +39 06.976.18.381 - VAT IT11387151001 - All rights reserved.